Build an intelligent infrastructure for modern analytics, HPC and artificial intelligence (AI). Achieve 46x faster machine learning performance on the most advanced accelerated computing servers. Combine the cutting-edge AI innovation data scientists desire with the dependability IT requires. Enterprise AI provides optimum training tools, easier model development and 46x faster machine learning than Google Cloud. Fully exploit the potential of GPUs and other accelerators by eliminating I/O bottlenecks and sharing memory across GPUs and CPUs – yielding faster insights and more accurate models. Designed with I/O and processing capabilities to accommodate the data-intensive characteristics of modern analytics, HPC and AI workloads. IBM Power System™ Accelerated Compute Server (AC922) delivers unprecedented performance for modern HPC, analytics and (AI). Enterprises can now deploy data-intensive workloads, like deep-learning frameworks and accelerated databases, with confidence. AC922 enables the cutting-edge AI innovation data scientists desire, with the dependability IT requires. This is IT infrastructure redesigned for enterprise AI. 35% of large businesses and 45% of small businesses expect their current AI infrastructure to last no more than another year. IBM Power Systems with GPU acceleration provide an advanced infrastructure that was built for AI. You can start where you are today and build to where you need to be tomorrow. AI demands a foundation built for speed and scale. 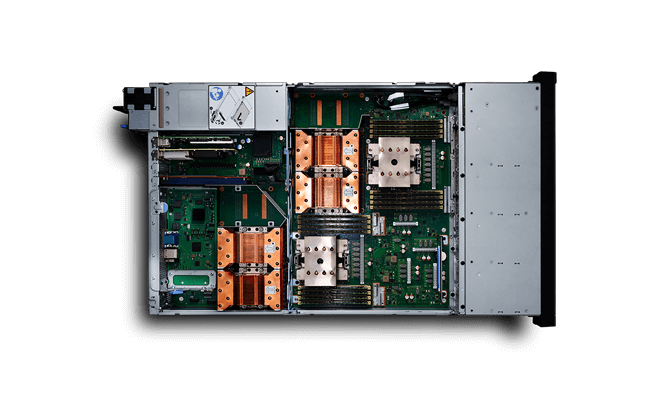 With IBM Power Systems, you can tackle new problems with NVIDIA Tesla V100 on the only architecture with NVIDIA NVLink — eliminating barriers between CPU and GPU. Elinar Oy Ltd helps knowledge-intensive organizations turn their data into business value through its Elinar ARTO product family, technology services and maintenance. Learn how they are gaining a competitive advantage with disruptive innovation powered by IBM technology built for AI. 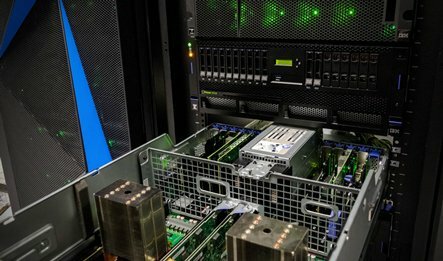 The compute performance behind CORAL Summit supercomputer is now available to the enterprise. Don’t believe us? See a sneak peek of what 200+ petaflops of high-performance computing and 3 exaflops of AI-as-a-service looks like.